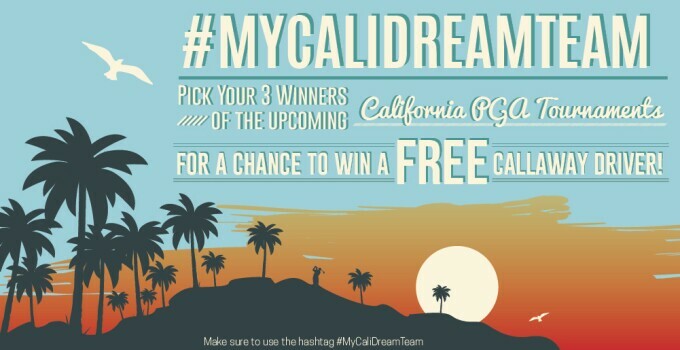 #MyCaliDreamTeam Pick Your 3 Winners of the PGA Tour California Swing Events & Win! The PGA Tour is starting their California swing and we have a California dreaming opportunity just for you! The idea is simple: Head over to Billy Casper Golf's Facebook or Twitter pages, you must like and/or follow us, then tell us what PGA Tour players you think will win the next 3 California PGA Tour Events using the hashtag #MyCaliDreamTeam and you'll be entered for a chance to win a Callaway Driver! You have nothing to lose and everything to gain as the winner of the contest will be selected at random! So give us your best #MyCaliDreamTeam for a chance to win. Contest runs through Sunday, February 22nd.